Helllooooooo. So...a few weeks ago I posted about a website called IWearYourShirt. 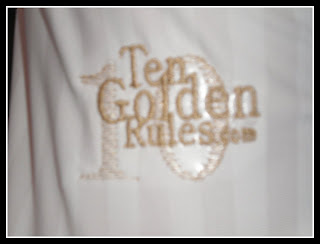 One day I was looking at their Twitter and I noticed they were giving out a limited edition Roger Federer shirt from Ten Golden Rules. The deal was that I needed to find ten different things and take a photo of it. Being a huge Federer fan, I really wanted this shirt! 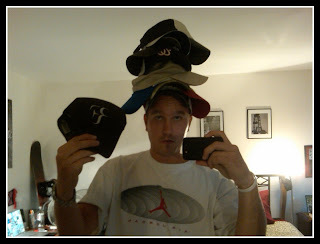 Anyhow, I tried to think of something I could do, and oddly enough I have a very large collection of hats so I thought it would be funny if I wore 10 different hats? Surprise, surprise! It worked! I ended up winning the limited edition shirt! I even made the website! Anyhow...that was then, and this is now with the shirt! 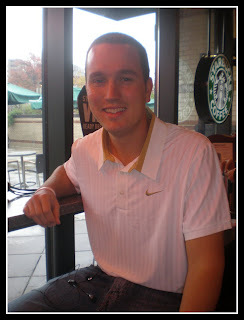 Thanks again to the Ten Golden Rules & IWearYourShirt for giving me the limited edition Roger Federer shirt! Looking forward to more prizes in the future!